Unfortunately, lately I've been missing some special movie screenings and yes with my current predicament I rarely can't also pay for a ticket to watch it on regular play dates. Sacrifices needs to be made. But luckily I have second chances as these movies are already out for Home videos through C-Interactive. The future America is an irradiated waste land. On its East Coast, running from Boston to Washington DC, lies Mega City One – a vast, violent metropolis where criminals rule the chaotic streets. The only force of order lies with the urban cops called “Judges” who possess the combined powers of judge, jury and instant executioner. 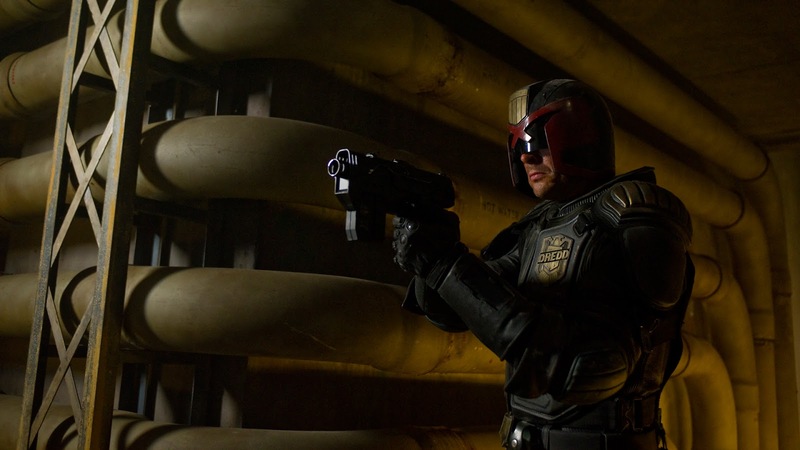 Known and feared throughout the city, Dredd (Karl Urban) is the ultimate Judge, challenged with ridding the city of its latest scourge – a dangerous drug epidemic that has users of “Slo-Mo” experiencing reality at a fraction of its normal speed. During a routine day on the job, Dredd is assigned to train and evaluate Cassandra Anderson (Olivia Thirlby), a rookie with powerful psychic abilities thanks to a genetic mutation. A heinous crime calls them to a neighborhood where fellow Judges rarely dare to venture – a 200 story vertical slum controlled by prostitute turned drug lord Ma-Ma (Lena Headey) and her ruthless clan. When they capture one of the clan’s inner circle, Ma-Ma overtakes the compound’s control center and wages a dirty, vicious war against the Judges that proves she will stop at nothing to protect her empire. With the body count climbing and no way out, Dredd and Anderson must confront the odds and engage in the relentless battle for their survival. One of the most anticipated comicbook remake last year. I saw the original Stalone movie and enjoyed it but if it is not accurate to the original source material, I would be more happy to experience it differently. read some spoiler free reviews and the movie did got mix reviews. Maybe I just need to find out for myself. 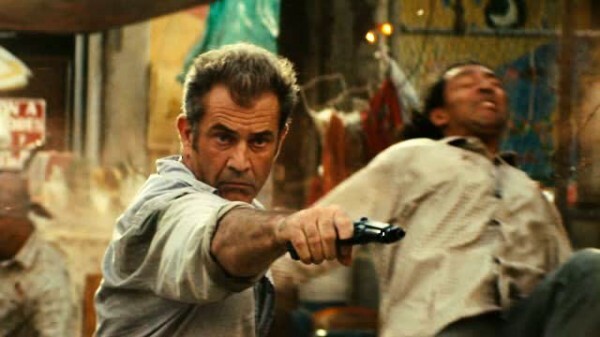 ACADEMY AWARD Winner Mel Gibson* steals the show - and anything else he can get his hands on - in this explosive, nonstop thrill ride packed with equal parts action and attitude! A career criminal (Gibson) pulls off the heist of a lifetime, but his getaway plans go south of the border when a high-speed car chase lands him in a hard-core Mexican prison community known as "El Pueblito." Now, in order to survive, he'll have to fend off corrupt cops, take down ruthless druglords...and team up with a streetwise ten-year-old who has a few secrets of his own! It's been a while since the last time I saw him on action movies. I saw him last time in drama The Beaver and the guy still have the skills as a great actor. Now it is time to revisit his action movie roots. I hope this one is good. The Perks of Being a Wallflower centers around a freshman named Charlie (Logan Lerman, Percy Jackson & the Olympians: The Lightning Thief) who is always watching from the sidelines until a pair of charismatic seniors takes him under their wing. Beautiful, free-spirited Sam (Emma Watson, the Harry Potter franchise) and her fearless stepbrother Patrick (Ezra Miller, We Need to Talk About Kevin) shepherd Charlie through new friendships, first love, burgeoning sexuality, wild parties, midnight screenings of The Rocky Horror Picture Show and the quest for the perfect song. The film also stars Mae Whitman (TV’s “Parenthood”), Nina Dobrev (TV’s “The Vampire Diaries”), Dylan McDermott (TV’s “American Horror Story”), Kate Walsh (TV’s “Private Practice”), Joan Cusack (Showtime’s “Shameless”) and Paul Rudd (upcoming This is 40). Never really got the chance to read the book and I'm really not that interested to see the movie. Until I find out Emma Watson is on the cast. Yes I'm that shallow. Can't blame me. But it looks like this movie is not just your typical romantic movie for it receives a lot of praises and positive feedbacks. Now it definitely got my attention. And Yes, not just that attention you are thinking. In 1868, after the end of the Bakumatsu war, the former assassin Kenshin Himura (Takeru Satoh) promises to defend those in need without killing the opponents and wanders through Japan with a sword with inverted blade during the transition of the Samurai Age to the New Age. When Kenshin helps the idealistic Kaoru Kamiya from the gangsters of the powerful opium drug lord Kanryu Takeda who wants her dojo for his production of opium, Kaoru invites Kenshin to stay at her dojo. Meanwhile a man calling himself the “Hitokiri Battousai” (The Man slayer) is murdering police officers and leaving messages attached to their bodies. Kicking off his plans, Kanryu begins to take the lives of innocent people in a bid to acquire the land around Kaoru’s dojo. 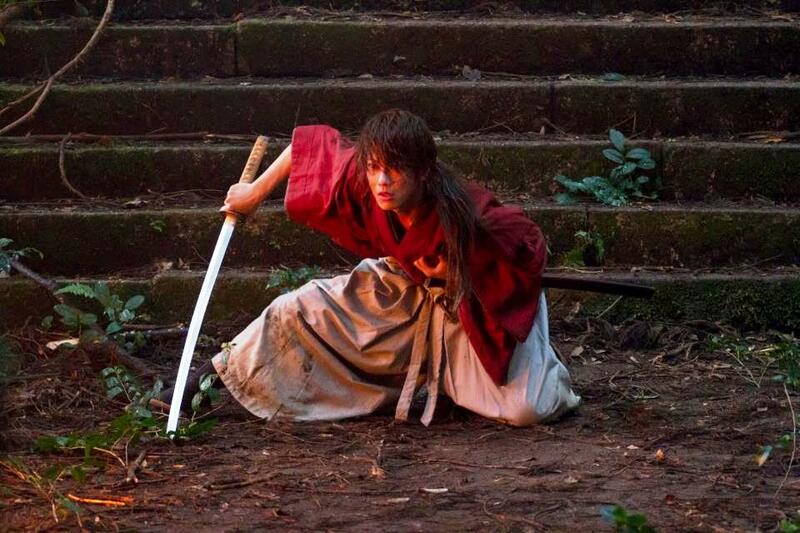 Unable to turn a blind eye to those who are suffering, Kenshin decides to take action. Faced with the insurmountable odds of facing Kanryu’s 250 man personal guards, Kenshin’s only ally is a brawler named Sanosuke Sagara. Will he be able to protect the people he cares about with only his inverted blade? Another movie I missed. One of the most anticipated Anime adapted Live action film. Definitely not made in Hollywood so expect good all japanese style film making. I may not recall all Samurai X (US title) epsidoes and stories (still young back then), I can say that Rurouni Kenshin builds my childhood. And watching this movie is definitely a must for kids like me who grew up on a Manga and Anime oriented era. For years, Heather Mason and her father Harry have been on the run, one step ahead of dangerous forces she does not understand. Now, on the eve of her 18th birthday, plagued by terrifying nightmares and her father’s disappearance, Heather discovers she is not who she thinks she is. The revelation leads her deep into a demonic world that threatens to trap her in Silent Hill forever. Based on the hugely popular video game series and written and directed by Michael J. Bassett, it’s a psychological trip into absolute terror unlike anything you’ve ever known. I heard the first movie is a flop. Didn't really saw it before since I'm not a fan of Silent Hill franchise. Not really a big fan of Survival Horror (except Resident Evil). But it looks like Silent Hill Revelation is a different story. As oppose to the low budget production of the first movie, they did shell out some more extra cash on this one. And they got a female lead. Probably they learned that from the Resident Evil film franchise. In The Twilight Saga: Breaking Dawn – Part 2, the birth of Bella (Kristen Stewart) and Edward’s (Robert Pattinson) child brings conflict between Bella and her lifelong friend, Jacob (Taylor Lautner), and an all-out war between the Cullens and the Volturi. This is the only movie on the bunch that I already saw. 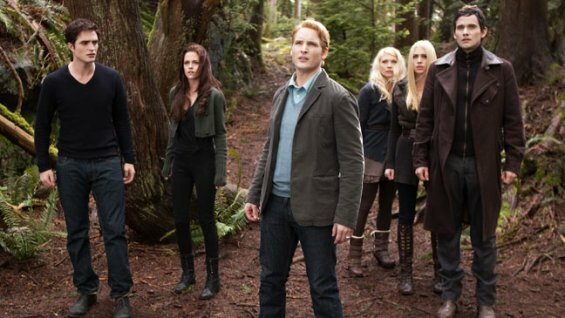 As far as the whole franchise is concern, Breaking Dawn (including Part 1) is possibly the best of all the Twilight Saga films. This is the chapter of the saga where they are all fighting for a more concrete and matured cause as compared to the previous chapters. The finale of the movie is also brilliantly crafted. It is different from the book but at the same time it didn't ruined it. You'll find out if yo uwatch it for yourself. All of these titles are now available from our good friends in C-Interactive. If you want to know more about their recent and future releases, like their Facebook page here. I know everyone are going out today for Easter vacation but all of those who are staying at home, spend it with family, a movie and some snacks. Happy easter to everyone.